A client based in Asia recently began exploring a plan to launch their business internationally and invest in a subsidiary office here in the US. While discussing their plans for incorporating, hiring staff, etc. 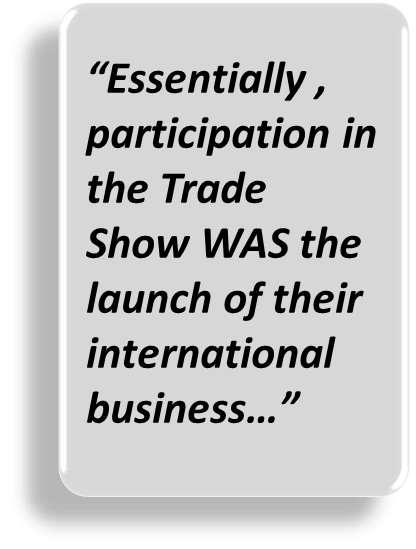 later in the year, they revealed they would also be in the US this month to exhibit at a major industry Trade Show to kick off their efforts to enter the US market.